Horror films have a unique way of having the ability to be wonderfully entertaining while tackling some very important and often sensitive topics that come to surface on a regular basis in our society. Take Jordan Peele’s Get Out as an example; the critically acclaimed and perfectly balanced cocktail of suspense, humor and social commentary about a very absurd yet very real perception in modern day America. The film drew heavily on society and the racial trials and tribulations that many ethnic groups face on a daily basis, camouflaging the blunt nature of said beast with talented filmmaking. 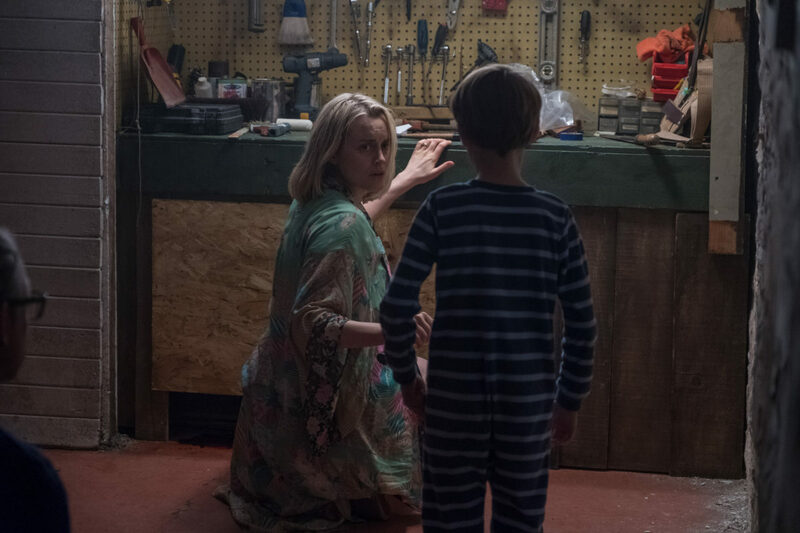 With The Prodigy, a new horror film directed by Nicolas McCarthy, sets its aim chiefly on childhood, parenting, marriage and the idea of mental health while hitting all its targets like a blunt hammer. The film opens with credits to its distributor Orion Pictures, a nostalgic logo flashes across the screen bringing back memories of The Terminator or Wolfen from 1981, two classics that were distributed by the company; setting the tone for a film with McCarthy successfully taking classic horror film devices and applying them in a modern setting. Nicholas McCarthy’s filmography is no stranger to the supernatural, in fact all three of the feature films in his repertoire deal with supernatural material. With his career peaking and a very minimalist approach to undertaking projects and simplistic horror style, its hard to draw comparison within the world McCarthy captures on film. One thing that is for certain is that the world in his newest film The Prodigy is quite spine tingling. The Prodigy revolves around Miles (Jackson Robert Scott), a child who at first, seems to be somewhat of a mad-genius. 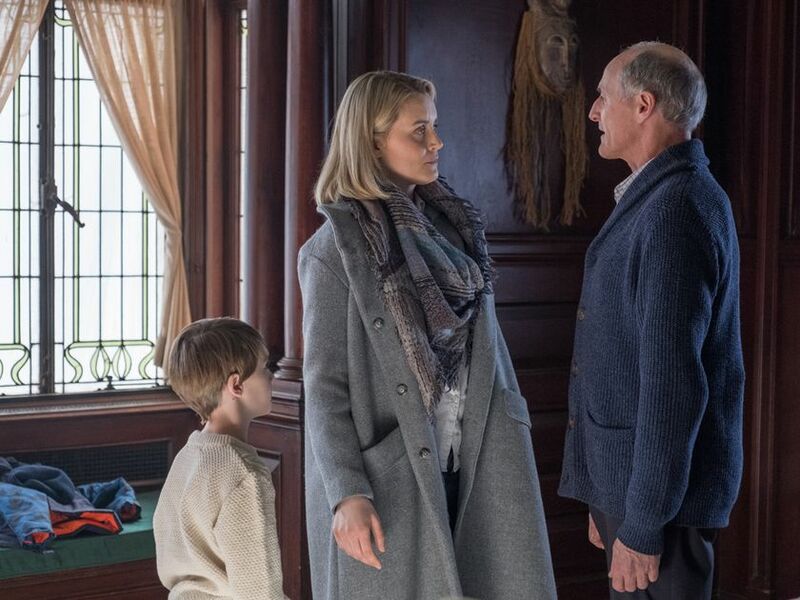 As Miles’ behaviour begins to become more alarming, his parents Sarah and John (Taylor Schilling and Peter Mooney) begin seeking answers, going as far to believing that Miles may be a reincarnation of a soul who has unfinished business, according to the unconventional advise of Dr. Arthur Jacobson (Colm Feore). McCarthy begins turning the film from a story of a young new family into something more reminiscent of The Omen, a Richard Donner classic, a film dedicated to the idea of youthful deviance. The 1976 film is clearly a loved homage by McCarthy and most likely used as a visual example to Jackson Robert Scott during shooting of the film. While The Prodigy doesn’t stop with just The Omen as a clear homage, McCarthy’s film also pays heavy tribute to William Friedkin’s undeniable and most certainly unforgettable horror masterpiece The Exorcist. Using the year 1973 as its reference point, a valiant year in horror cinema, producing cult classics like The Wicker Man, Don’t Look Now and The Vault of Horror, the film’s title makes it quite clear just exactly what it wants to be and how much these films mean to the filmmakers involved. As cinema and the horror genre begins to evolve in 2019, one of its more interesting and affable characteristics is how it blends plaguing real-world issues into a fun, sometimes spooky yet always entertaining and devilish good time. While many horror films have had sadistic and possessed children, one of my favourite parts of The Prodigy is how it begins with the questions of mental health, learning disabilities (or extreme learning abilities in this instance), and how parents or people would deal with these things. One of the scariest aspects of The Prodigy is imagining this happening to you as a parent? How would you react? What would you do? It is no surprise that many test audiences were so scared and disturbed during the test screenings that the studio had to dilute many of the interactions between Miles and his mother, especially the sequence of scenes where a suspecting Sarah allows Miles to sleep in her bed. As she tenses up and allows her son to climb into bed with her, Miles’ hand behind slithering over her shoulder as he whines the words, “Mommy, will you always love me? No matter what I do?” I mean, come on, creepy stuff! Conclusively, The Prodigy can stand up in the supernatural, more specifically child supernatural horror movies genre with great pride and valour. A quirky sub-genre that has few bodies of work yet many of the film seem to have certainly left their mark on cinema and horror genre specifically, The Prodigy is a worthy addition to the bunch. Showing immense love to other classic films, The Prodigy uses past techniques in a modern minimalistic setting with superb effectiveness, making the film a familiar but altogether fresh and chilling choice for a film to watch at the multiplexes. What did you think of The Prodigy? Horror and cult classic or too much of an imitation or copy cat? What did you think of the performances? The twist? Can you even handle the trailer? Are you a jumper or a screamer? Leave your thoughts below. Try not to scream!